Terri is an occupational therapist at Riverwood who practices in Aitkin. Experience: 30+ years in a variety of settings across the country. The first half of her career included cardiac rehabilitation, home care, acute, subacute care and skilled nursing facilities. The past 19 years she has specialized in outpatient lymphedema, cancer rehab, orthopedic hand treatment and work injury management programs. Areas of Focus/Expertise: Evaluates and implements customized treatments for our inpatients for a wide variety of diagnoses for inpatients and outpatients. 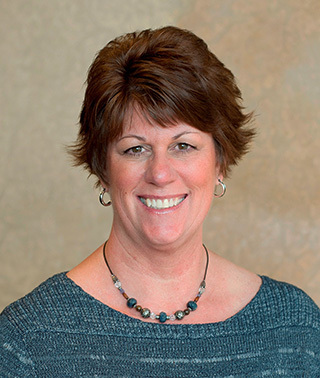 As a certified hand therapist, Terri fabricates custom elbow/wrist/hand splints, uses modalities and exercise to maximize functional upper extremity outcomes. Provides care to our cancer population, as well as lymphedema treatment. Conducts cognitive evaluations with interpretation of the results to the patient and family, giving recommendations to maximize independence and safety; and provides cognitive retraining.